Sign Up. It is Free! Arda Beach, a very nice beach bar at one of Bulgaria’s most beautiful rivers Arda, use our QR code generator to create codes. They plan to use them in two ways – 1st is to let people check-in to the venue on FourSquare and Facebook Places and 2nd is to promote the venue and connect with people on Facebook, Twitter and YouTube. 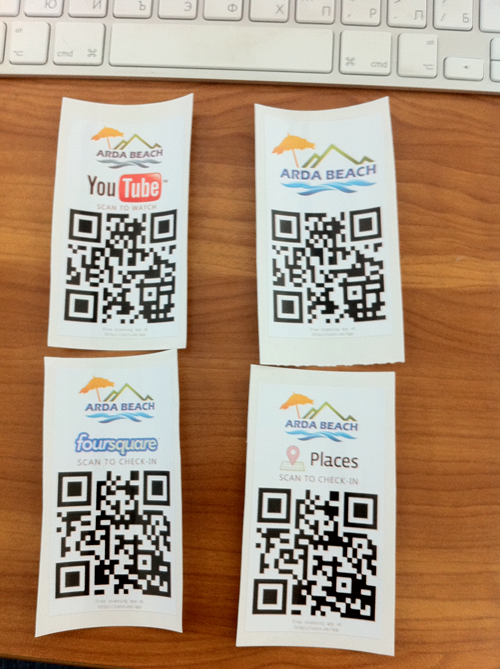 To find out more about Arda Beach scan the above codes or check their site – Арда Бийч / Arda Beach. To create a QR code for yourself just sign up with us.